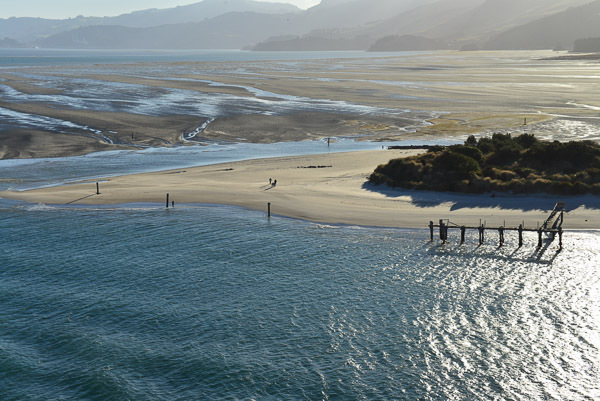 After the excitement of once again meeting with the lovely Pippa and Tara in Wellington, it’s time to continue on down the East Coast of the south island and around to the Fiordland National Park; for us it is one of the anticipated highlights of this little boat trip of ours. 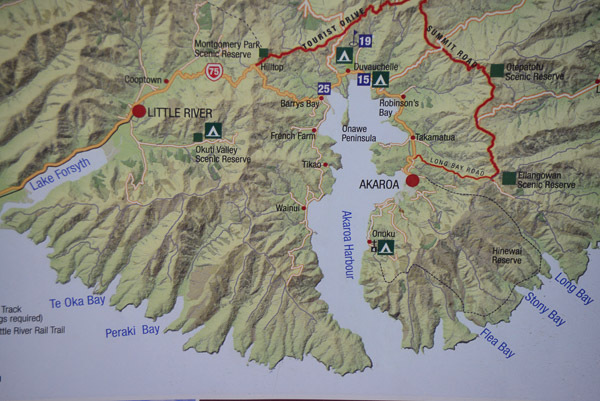 But first … Akaroa on the Banks Peninsula to the Southeast of Christchurch. After the last few hectic days Jacqui decides not to go ashore, so I go exploring on my own. 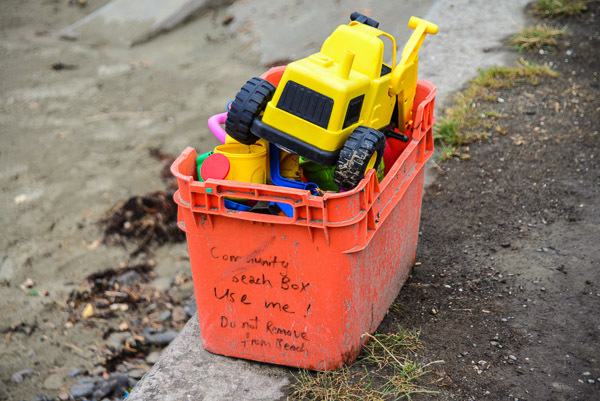 It is a tender day … not, I hasten to add, anything to do with the weather, but rather that to get to the land one has to go in one of the ships tenders. I wait until after lunch so as to avoid the rush of those people booked on the tours to Christchurch and then set off across the harbour to the distant pier. Not a lot to say about this little town so I’ll say it with pictures. 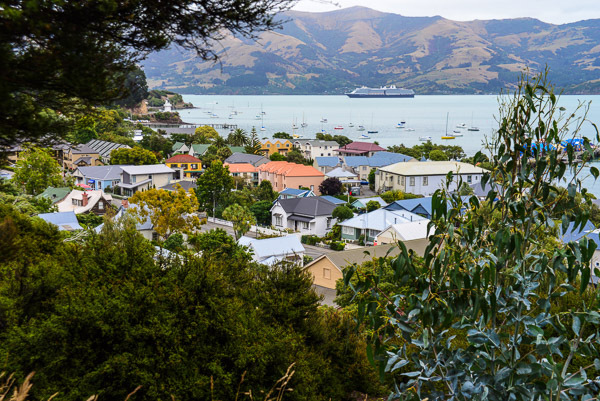 The harbour of Akaroa on the Banks Peninsula sits in an ancient volcano. The tender doubles as a lifeboat. 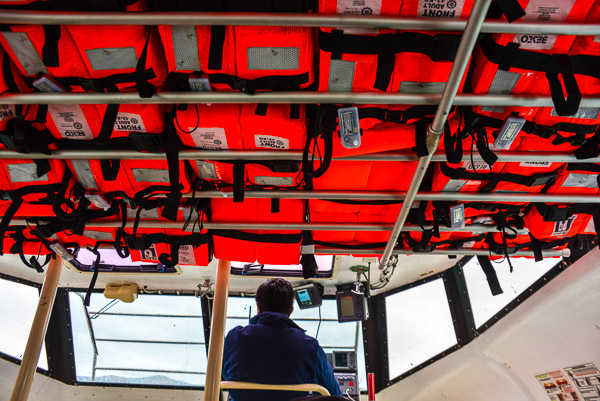 Plenty of lifejackets here. 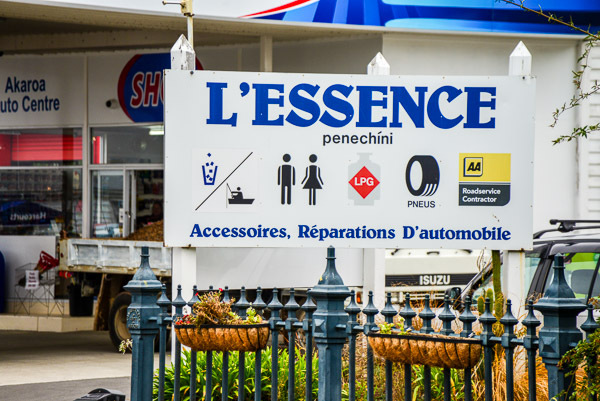 Interestingly, this area was first settled by the French and so this small town (about the size of Denmark in Western Australia for those who know it) has a distinctively French feel. 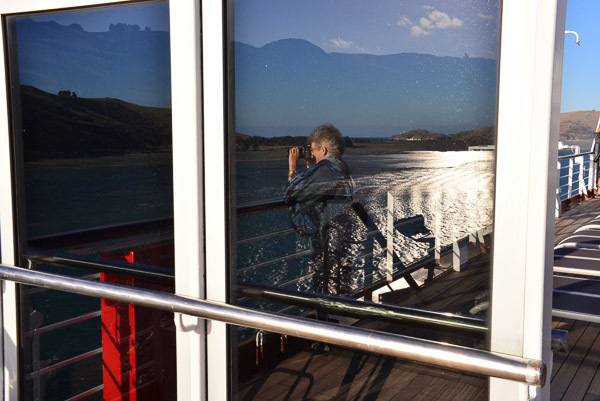 The Noordam shrinks in the spaciousness of Akaroa Harbour. 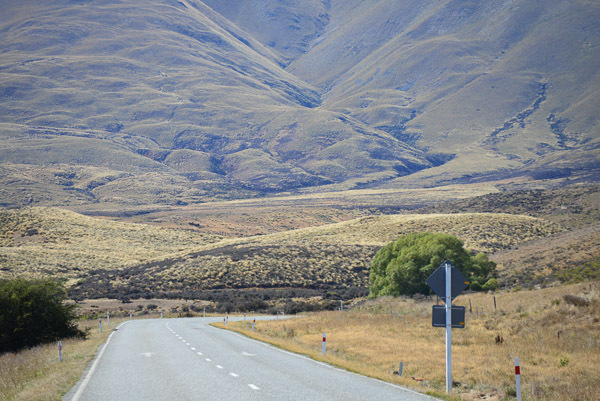 Yes … this is indeed New Zealand. 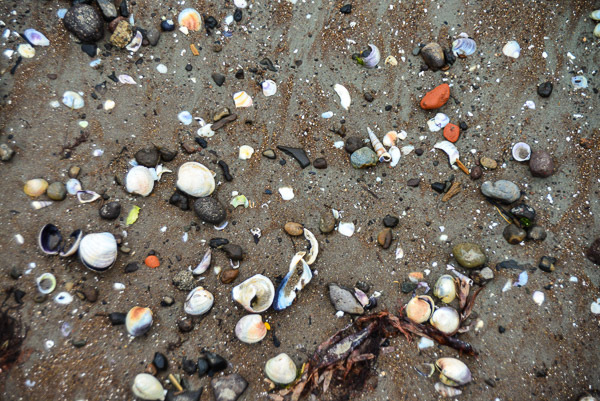 The beach is a child’s paradise … lots of shells to collect. 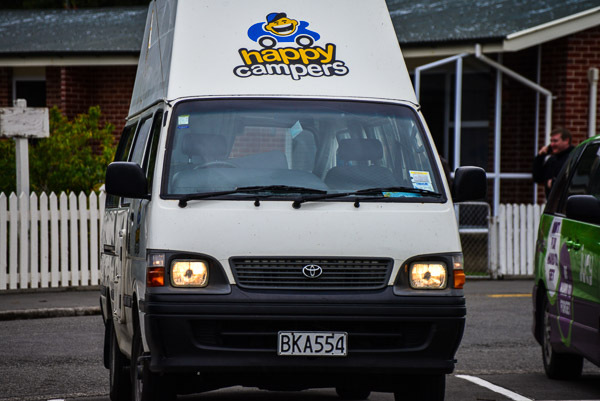 I’m sure that these people will be anything but “Happy Campers” when they find they left their headlights on! Just hanging about in Akaroa waiting for someone to get under my skin! Next stop is Dunedin. We leave the boat early by our standards and pick up the hire car which we hope will show us some mountains. The ship docks at Port Chalmers which is 15km or so from Dunedin itself. Off we go looking for a coffee shop. One of the downsides of the Noordam is that their idea of what makes a good coffee is quite different to ours so we feel the need to make up for this lack before we drive out of town. 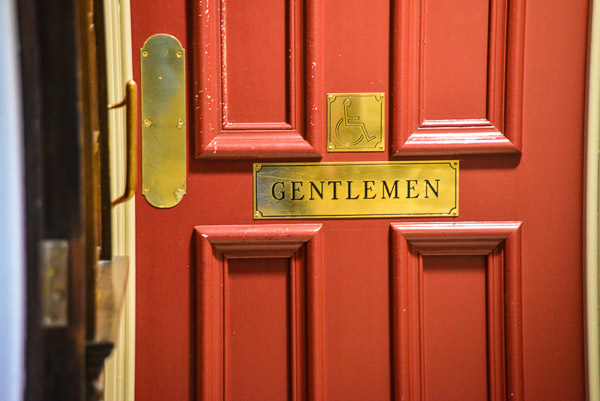 I often wondered what they were for! Not many around in our neck of the woods. Dunedin was settled by the Scots and has a very traditional feel. 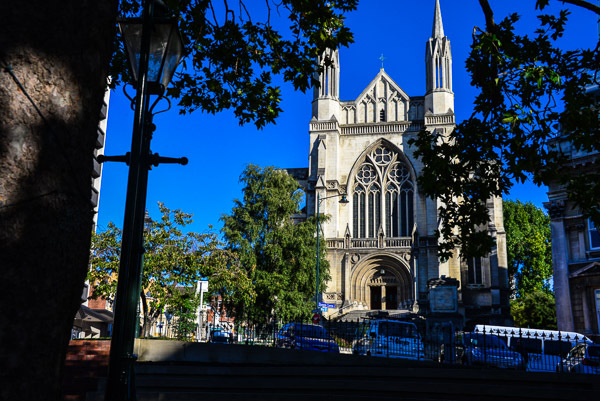 The Cathedral in the centre of Dunedin. 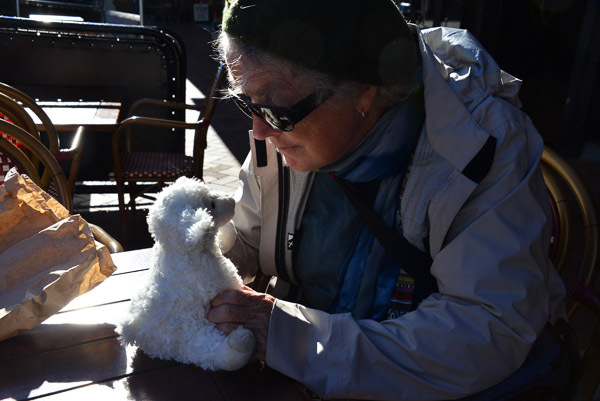 Jacqui found a new friend in the street market and she joins us for that coffee. And so we drive off into the hills along wide empty roads. Up the coast for a bit and then turn inland in our search for mountains which we are destined not to find save for a snowless shadow in the far distance after driving for a couple of hours. This looks like hard country to me. Not really sure I would want to do more than visit. 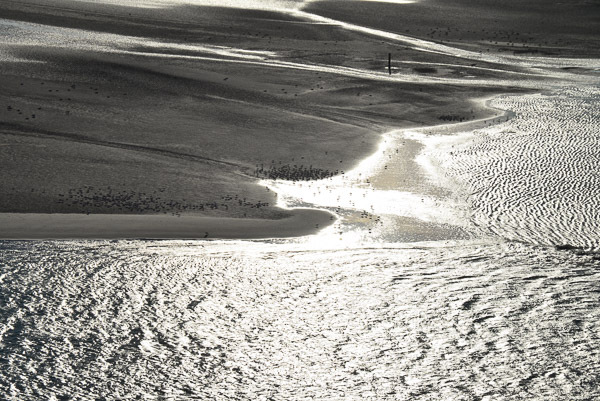 The hills are worn and naked save for grass. This small settlement looks idyllic in the early autumn sunshine but is long way from anywhere much. 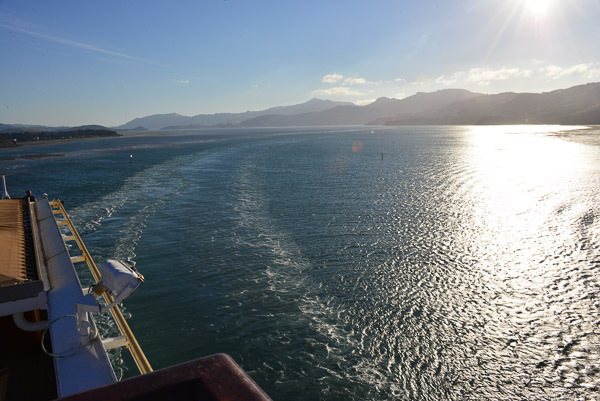 It’s time to leave Port Chalmers and set off round the bottom of the South Island to Fiordland National park. 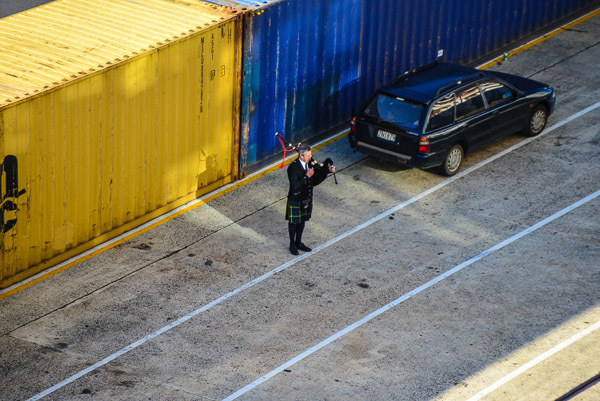 We leave the dock with the sound of bagpipes floating on the breeze as the late afternoon sun shines it’s farewell. They take their Scottishness very seriously here. As the sun sinks we are piped away. 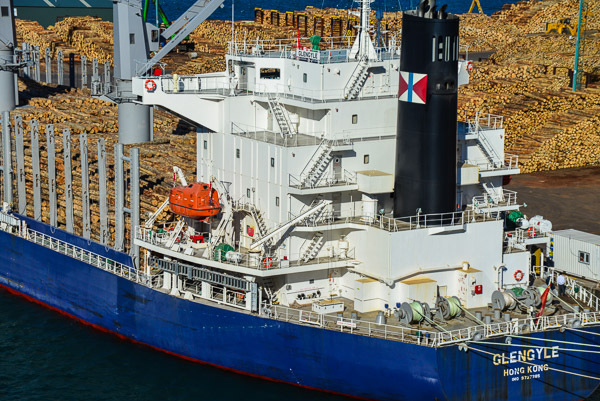 Now I know why they don’t put logs into containers. Every now and then magic happens and this is one of those occasions. We are sailing out through the harbour in Port Chalmers with the sun low in the sky and a perfect ‘golden hour’ begins. Up on the top deck, Jacqui and I scurry from one side of the ship to the other with wide grins on our faces, each clicking away madly. One magic vista after another unfolds as we pick up speed. Leaving Port Chalmers in the late afternoon sun. The chance to explore the Fiordland National Park without having the pain of carrying a pack for several days to get there is one of the main reasons we are on this trip. 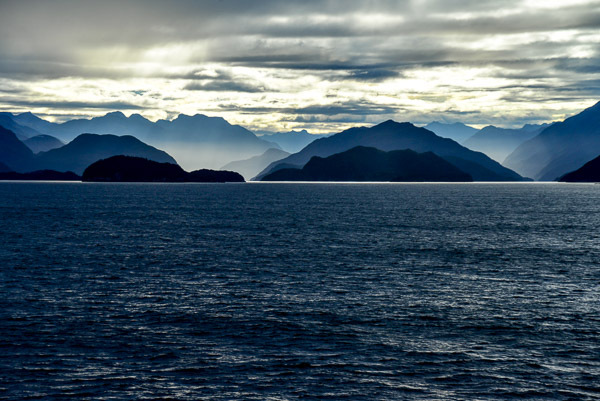 We have been told that we will be entering three of the main Sounds; Dusky sound, Doubtful sound and the popular Milford Sound. 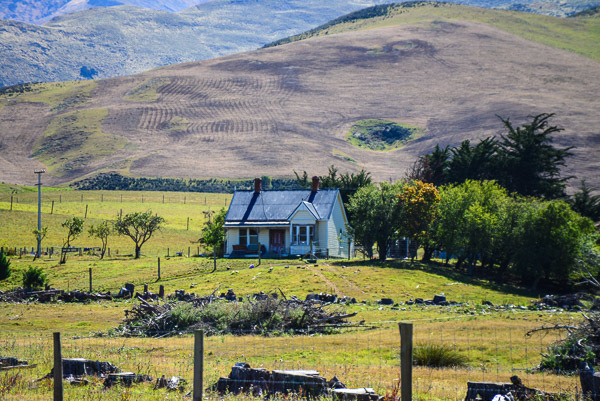 Having passed between Invercargill and Stuart Island in the night we awake to the news that the weather is turning and so our fingers are crossed. 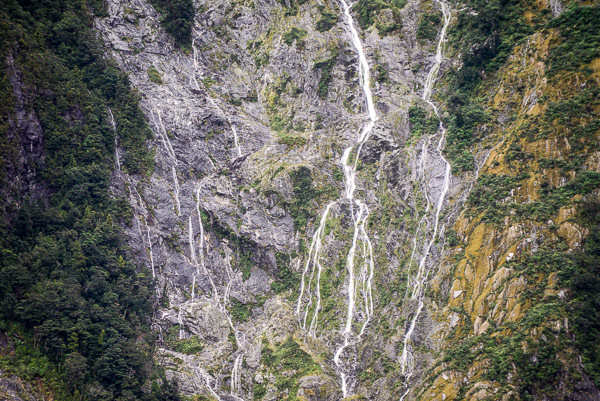 This is not unexpected since Milford Sound can get eight metres (yes … 8000mm or more than 300 inches) of rain each year. A sunny day is a rare thing here. 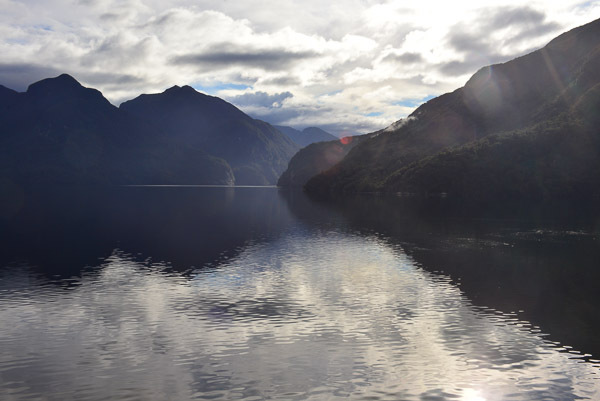 We turn into Dusky sound to be greeting by extraordinary beauty which continues from our 9am entry to Dusky sound right through to our 6pm exit from Milford sound. What a day! Entering Dusky Sound we are greeted by extrordinary beauty. 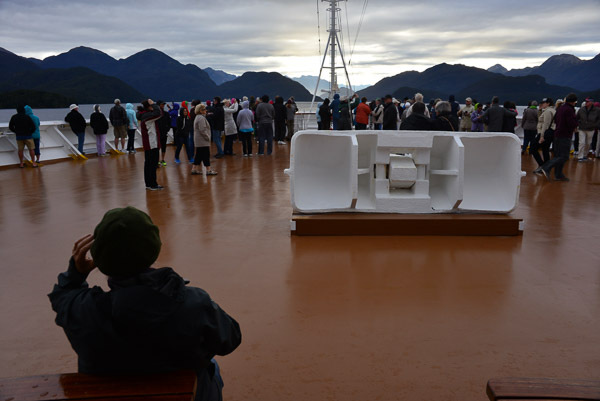 The foredeck has been opened as we sail through one Sound after another. 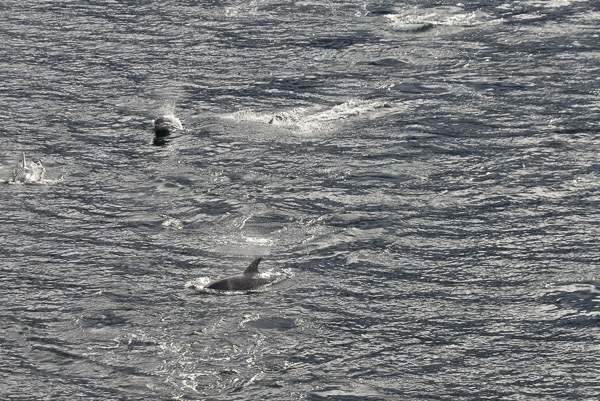 A pod of Dolpins come to say hello … only to disappear once more! 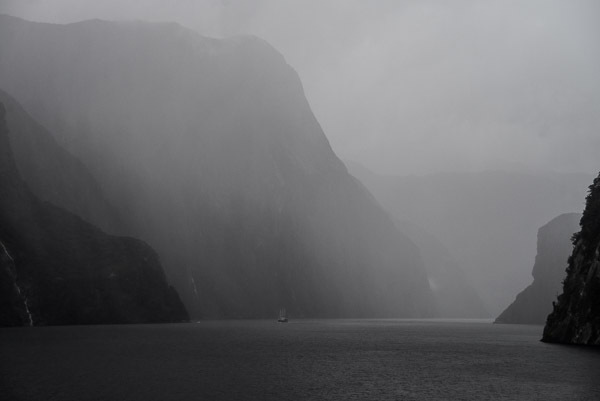 We enter Milford Sound in the rain. 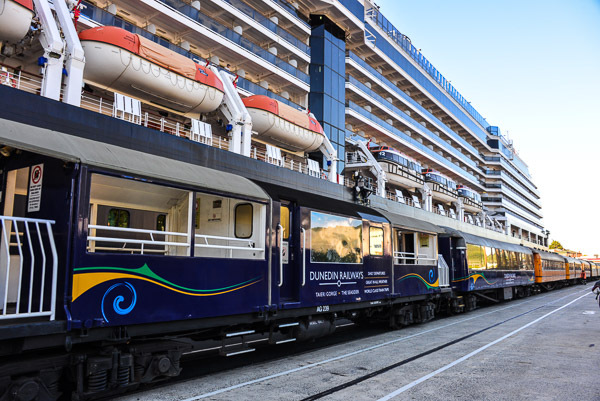 Naked ship takes shower in public! 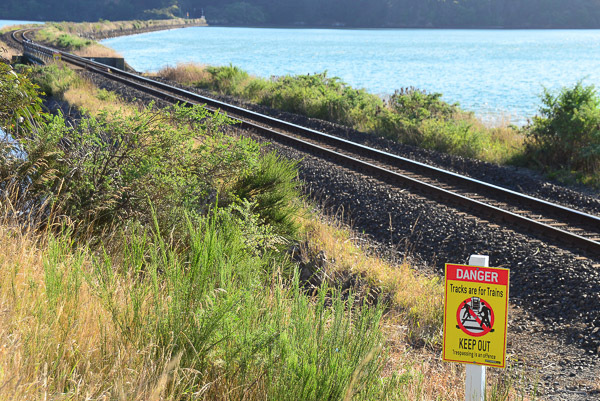 Kayakers manage to escape unharmed. 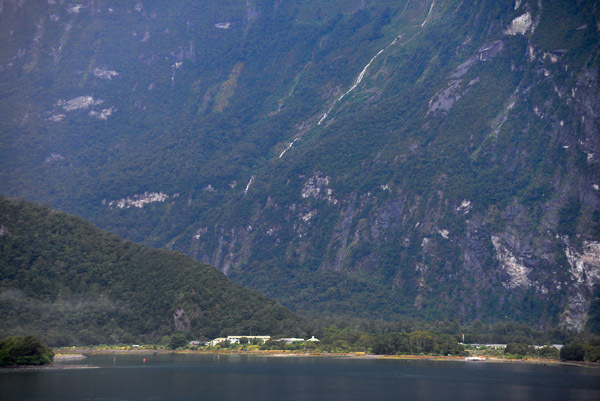 The tiny settlement at the end of the road into Milford Sound. After the rain come the waterfalls. 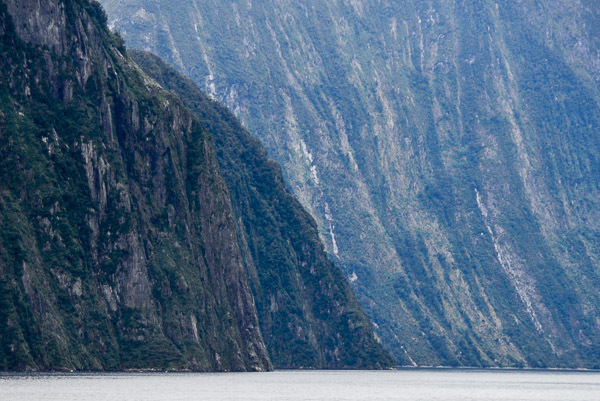 The sheer sides of Milford Sound. 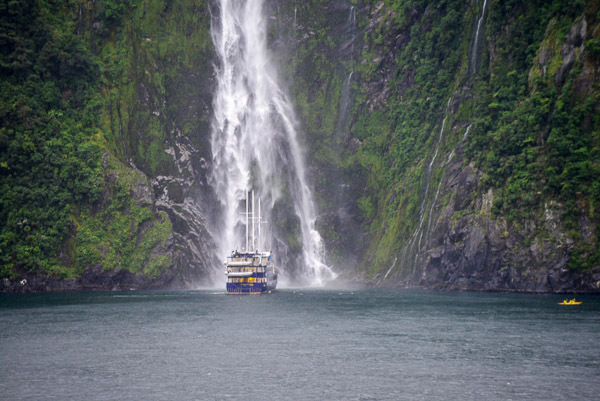 Our extraordinary day is coming to an end and as we finally leave Milford Sound to cross the Tasman Sea, (known as the Ditch around here), we head into a force eight gale which stays with us for most of the three nights and two days in takes to cross to Hobart. 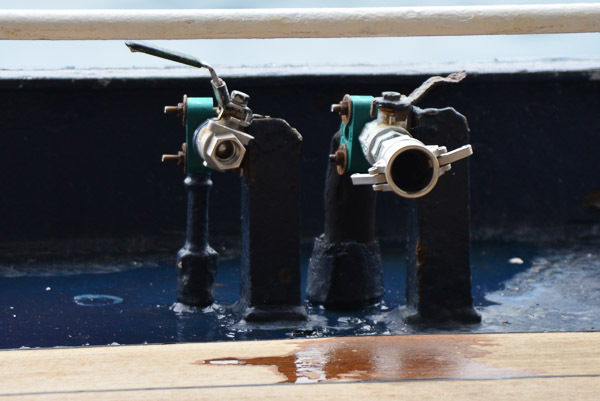 Ship stabilisers are wonderful things and although it is a little bit bumpy things generally carry on as normal. 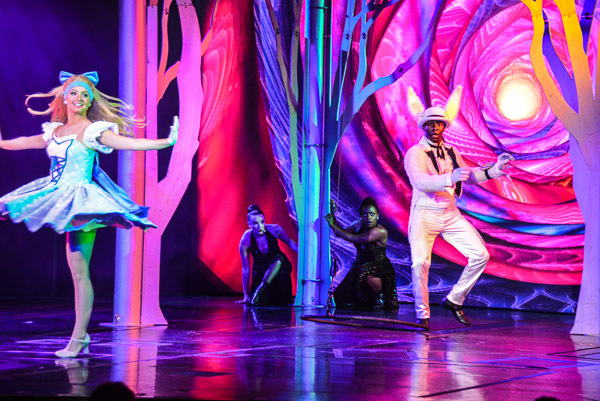 I am full of admiration during the evening show full of dancing that there was only one small slip in spite of the boat jumping around in a very haphazard way. We reach Hobart as the weather clears and go ashore to meet friends Jeff and Jackie from Albany, who now live on Bruny Island. A good lunch and a look around Hobart makes for an enjoyable first day back in Oz. 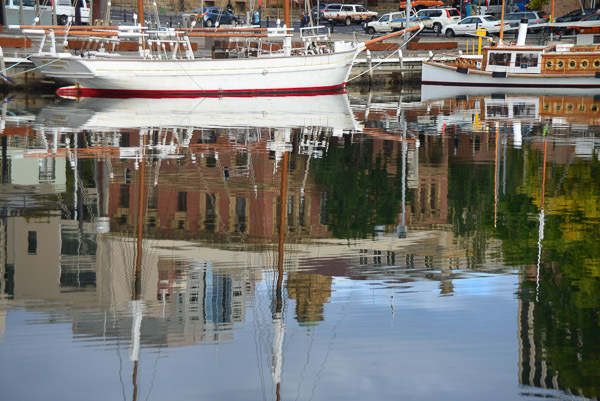 The still waters of the inner harbour in Hobart are a pleasant change after two days of rough seas. Straight for the coffee shop … this time the Tricycle in Salamanca. 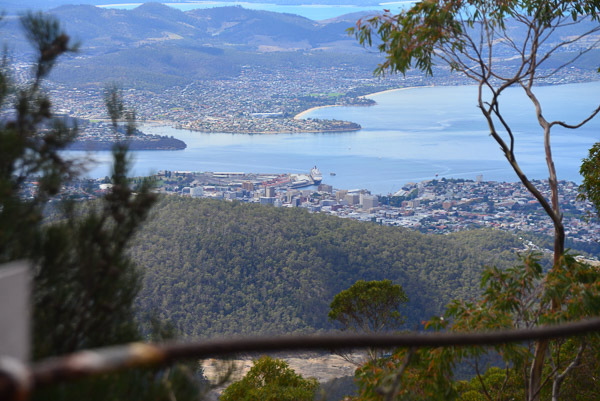 The harbour and Islands of Hobart from Mount Wellington. The last stop on our little journey is Melbourne which greets us with a spectacular sunrise at we go into Port Melbourne. 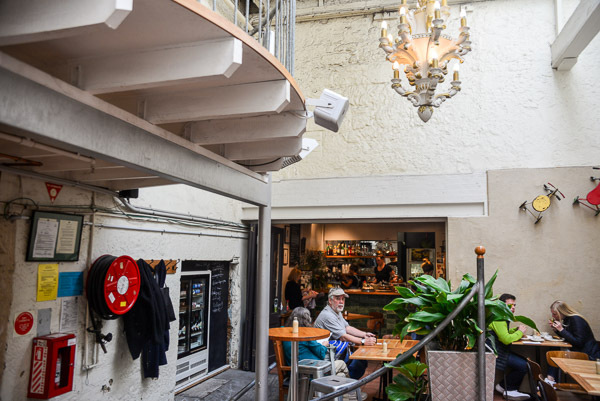 It’s a day for Pippa (Max unfortunately is out of town, although we do catch up for a phone chat in the afternoon) and we catch the train out to see her new apartment in Thornbury followed by lunch and a good catch up. 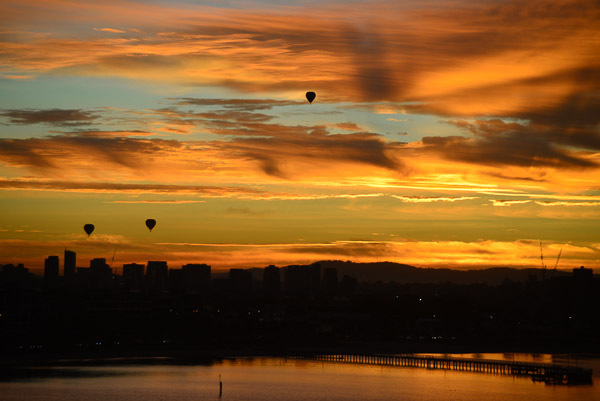 Hot air balloons dot the sunrise over Melbourne. 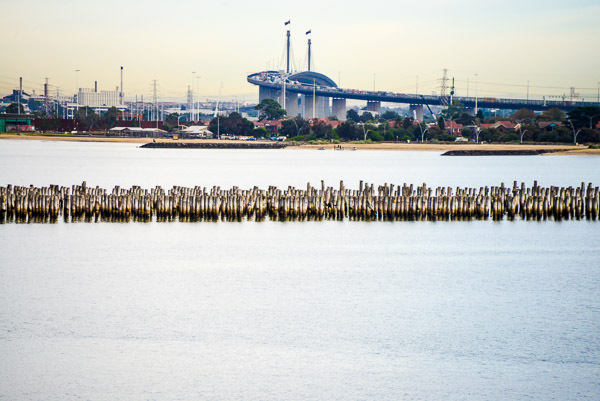 The new and the old … the curves of the West Gate bridge soar over the old jetty. 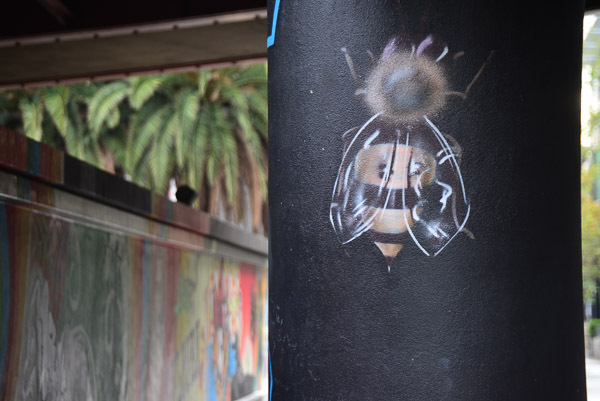 Back in Melbourne with its amazing street art. Old and new variations on a theme. Square towers with signalling capability at the top. 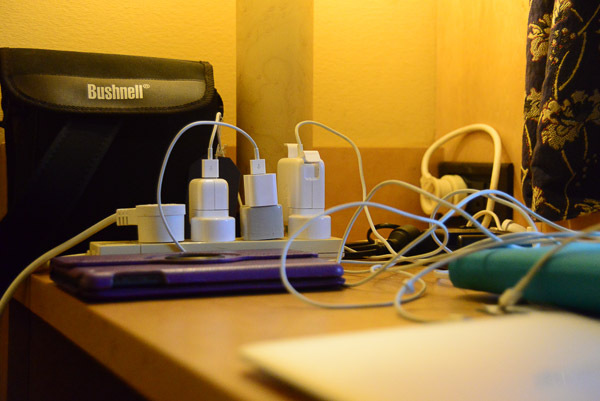 This journey is ending and tomorrow we will be ejected from our comfortable nest. 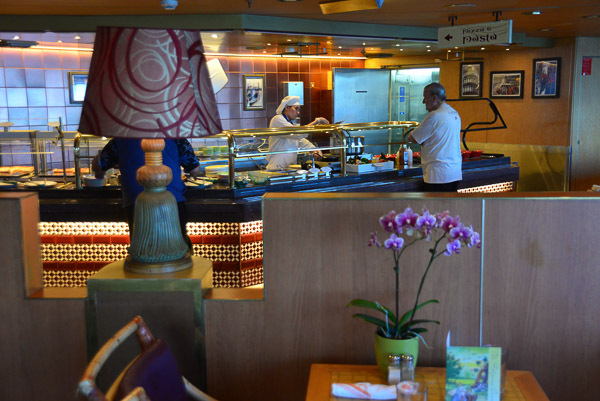 We enjoy the sense of voyage and the opportunity to get a taste of different places. 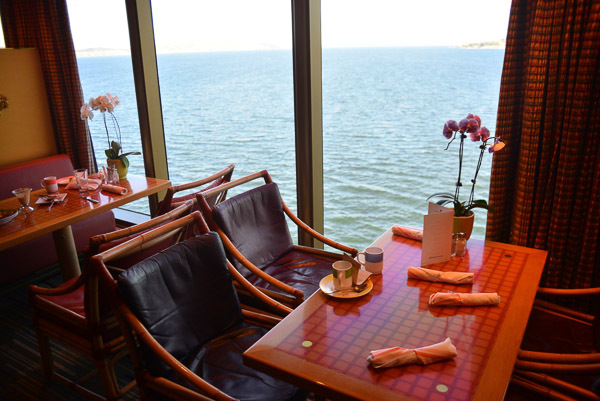 In many ways shipboard life is a retreat for us. We have a private space; we do our meditation practice and get exercise; we have no desire to shop or gamble and our drinking is limited Jacqui’s occasional small glass of wine with an evening meal; we don’t have to think about cooking or where our next meal will come from or even make our bed and we have endless chances to watch life in all it’s shades go past. 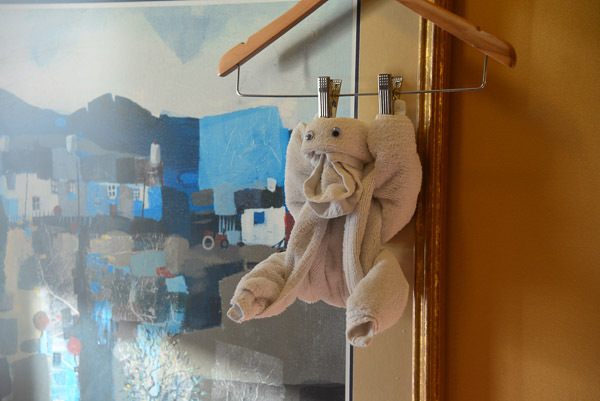 The winner of our “Towel Art of the Trip” award. One of the evening shows. It’s all an illusion really … we dress up for the formal night. 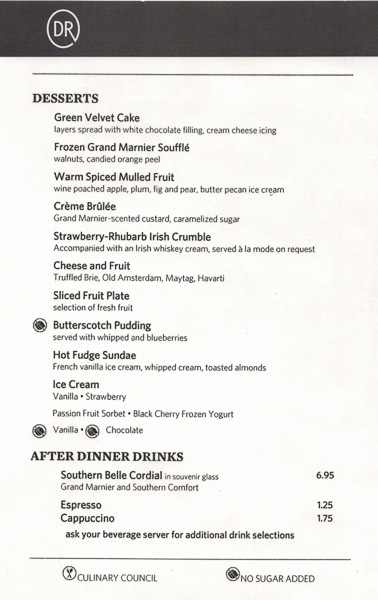 Desert anyone? Different every night! 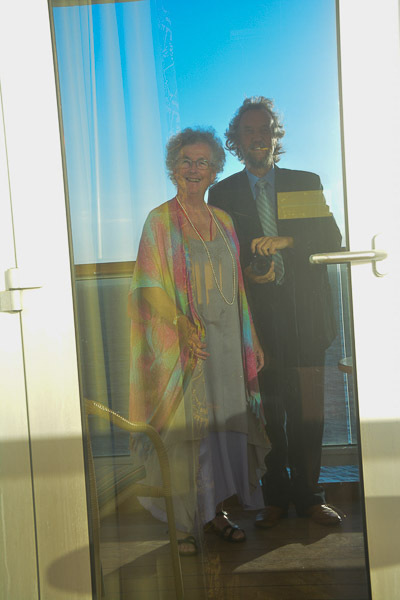 What a great cruise – and thank you both for your timely greetings from NZ. 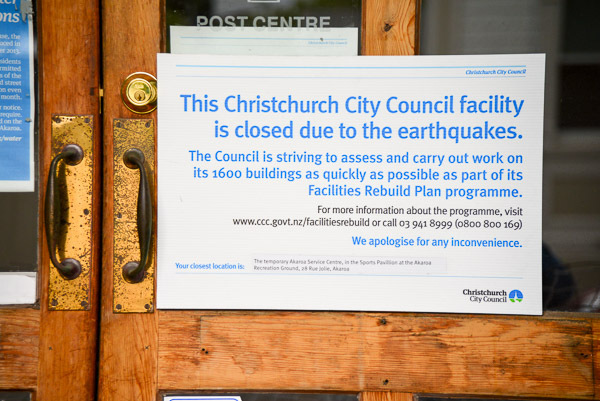 We renewed many happy memories of NZ – especially those around Christchurch – where even the pub was in a modified sea container after so much earthquake damage – but peoples wonderful spirit and optimism. 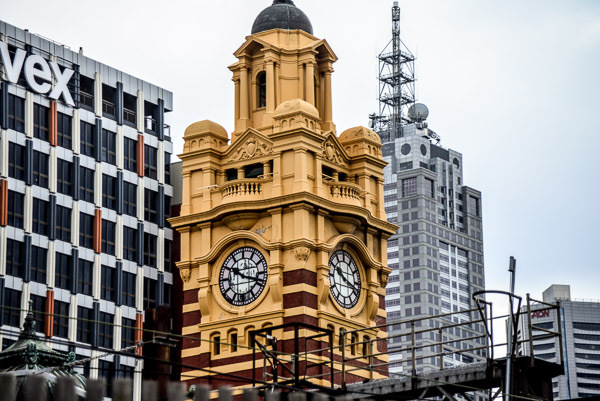 Also loved the Dunedin, Milford, Hobart and Melbourne pics – you do have that photographers eye! What a feast for all the senses you have both enjoyed! 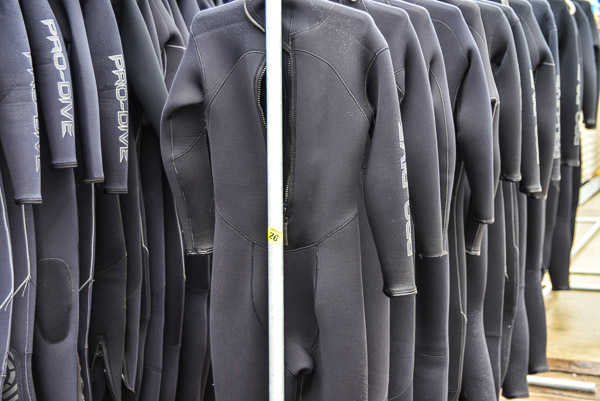 It whets the appetite for more adventures, and experiencing them in a way which is both manageable and kindly!! Good on you! Great photos Alan,; lovely that you share them with the engaging commentary. Loved the Dusky Bay mountainscape!!! very enjoyable as always a nice warmer upper ! Great photos. Very like Scotland isn’t it?